The Maphumulo Local Municipality invites bids from suitable, qualified and experienced service providers for the placement of Municipal advertisement on various newspapers for the period of three (3) years, renewable yearly based on performance. The full specification will be available on tender document. Bidders must submit their bids on the official Municipal bidding documents, which will be available at the Municipal offices, located at MR 711, Lot 152, Maphumulo on Friday, 29 March 2019 ONLY. A non-refundable document fee of R500.00 is payable upon collection and payment must be deposited on ABSA Bank, account number: 4056102866. Completed tender documents must be in a sealed envelope clearly marked “ADVERTISING (NEWSPAPER)” and placed in tender box located at: Maphumulo Municipal Offices, MR 711, Lot 152, Maphumulo by no later than 12:00 on Monday, 29 April 2019. Documents will be opened in public. Late, telegraphic, faxed, e-mailed or posted tenders WILL NOT be accepted. Bidders must attach the following mandatory returnable documents in order to be considered for this bid: • Printed copy of Tax Clearance Certificate accompanied by a PIN for further verification • Certified ID(s) copies of company director(s) (not older than 3 months) • Certified Copy of company registration (not older than 3 months) • Proof of payment for tender document • Company Municipal rates, electricity or water account not older than 3 months, proof of Residential lease or rental or sworn affidavit accompanied by proof of resident if the business operates at a place of residence• Completed and signed Municipal bidding Document attached in the tender document • Registered on Central Supplier Database (CSD). Evaluation will be done on the following two-stage process in terms of National Treasury Circular No: 53. Stage 1: Evaluation of functionality in terms of MFMA Circular 53. Only the service providers who achieve a minimum of 60% or 60 points of the total points will qualify for stage two of the Evaluation process. Stage 2: The 80/20 Preferential Point System will be applied, where 80 points will be allocated for price and 20 points for B-BBEE Status. Bidders are encouraged to submit an original or certified copy of B-BBEE Certificate issued by SANAS Accredited Verification Agency. In case of EMEs bidder may submit an original SWORN Affidavit signed by a commissioner of oaths to claim Preference Points. 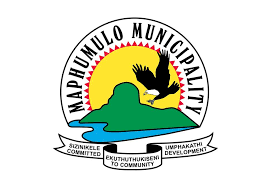 The Maphumulo Municipality does not bind itself to accept the lowest or any tender and this tender will be valid for the period of 90 days after closing. The Maphumulo Local Municipality invites bids from suitable, qualified and experienced service providers for the supply of building material for households affected by disaster in Maphumulo for the period of three (3) years, renewable yearly based on performance. The full specification will be available on tender document. Bidders must submit their bids on the official Municipal bidding documents, which will be available at the Municipal offices, located at MR 711, LOT 152, Maphumulo on Friday, 29 March 2019 ONLY. A non-refundable document fee of R200.00 is payable upon collection and payment must be deposited on ABSA Bank, account number: 4056102866. Completed tender documents must be in a sealed envelope clearly marked “SUPPLY OF BUILDING MATERIAL (DISASTER)” and placed in tender box located at: Maphumulo Municipal Offices, MR 711, LOT 152, Maphumulo by no later than 12:00 on Monday, 29 April 2019. Documents will be opened in public. Late, telegraphic, faxed, e-mailed or posted tenders WILL NOT be accepted. Stage 1: Evaluation of functionality in terms of MFMA Circular 53. Only the service providers who achieve a minimum of 60% or 42 points of the total points will qualify for stage two of the Evaluation process. All Technical enquiries relating to this tender must be directed to: Mr S. Buthelezi, on tel. 032 481 4500 or e-mailed: siphamandla.buthelezi@maphumulo.gov.za and SCM related enquiries must be directed to: Mr Velani Dube, on tel. 032 481 4500 during office hours (07:30 – 16:00) weekdays. Proposals are invited from suitably qualified and experienced companies to submit proposals for an opportunity to put together bankable funding proposals, on behalf of Maphumulo Municipality and submit to various funding institutions for consideration. This project will be a period of three (3) years. Bid documents and detailed terms of reference can be collected on Monday, 1 April 2019 ONLY at Maphumulo Local Municipal offices, MR 711, Lot 152 Maphumulo. A non-refundable fee of R150.00 will be charged for tender document and payment must be deposited into ABSA Account No: 4056102866. No tender document will be issued without proof of payment. Completed tender documents must be in sealed envelope clearly marked “APPOINTMENT OF CONSULTANTS TO SOURCE FUNDING FOR MAPHUMULO MUNICIPAL PROJECTS” and must be placed in a tender box at: Maphumulo Municipal Offices, MR 711, LOT 152, Maphumulo by no later than 12:00 on Monday, 29 April 2019. Tender documents will be opened in public. Late, telegraphic, faxed or posted tenders WILL NOT be accepted. All compulsory returnable documents are indicated in the tender documents. If any of the below compulsory returnable document are not submitted, a bidder will be deemed non-responsive and be disqualified from the evaluation process: • Printed copy of a Tax Clearance Certificate accompanied by a PIN for further verification • Certified ID(s) copies of company director(s) not older than 3 months • Certified Proof of company registration not older than 3 months • Proof of payment for tender document • Company Municipal rates, electricity or water account not older than 3 months, proof of Residential lease or rental or sworn affidavit accompanied by proof of resident if the business operates at a place of residence • Certified BBBEE Certificates not older than 3 months • Completed and signed Municipal Bidding Document attached in the tender document • Registered with Central Supplier Database (CSD). Within the ambit of the Preferential Procurement Regulations, 2001 bids/proposals for the expression of interest will be evaluated on the basis of functionality. Stage 1: Assessment of functionality. Only service providers who will achieve a minimum of 70% of the total available points will qualify for stage two of the evaluations. All Technical enquiries relating to this tender must be directed to: Mr N. Duma, on tel. 032 481 4500 or e-mailed: ntando.duma@maphumulo.gov.za and SCM related enquiries must be directed to: Mr Velani Dube, on tel. 032 481 4500 during office hours (07:30 – 16:00) weekdays. Maphumulo Local Municipality invites bids from suitable qualified and experienced service providers to be part of the pool within the built environment that will be appointed to be used and when is required. for the feasibility study, design supervision, project management of Municipal Infrastructure Grant (MIG) and Department of Energy (DOE) project over a period of three (3) years. Bid documents and detailed terms of reference can be collected on Tuesday, 2 April 2019 ONLY at Maphumulo Local Municipal offices, MR 711, Lot 152 Maphumulo. A non-refundable fee of R500.00 will be charged for tender document and payment must be deposited into ABSA Account No: 4056102866. No tender document will be issued without proof of payment. Completed tender documents must be in a sealed envelope clearly marked “PROVISION OF ENGINEERING SERVICE WITHIN THE BUILT ENVIRONMENT (ELECTRICAL, CIVIL AND BUILDING)” and must be placed in a tender box at: Maphumulo Municipal Offices, MR 711, LOT 152, Maphumulo by no later than 12:00 on Tuesday, 30 April 2019. Tender documents will be opened in public. Late, telegraphic, faxed or posted tenders WILL NOT be accepted. All compulsory returnable documents are indicated in the tender documents. If any of the below compulsory returnable document are not submitted, a bidder will be deemed non-responsive and be disqualified from the evaluation process: • Printed copy of a Tax Clearance Certificate accompanied by a PIN for further verification • Certified ID(s) copies of company director(s) not older than 3 months • Certified Proof of company registration not older than 3 months • Proof of payment for tender document • Company municipal rates, electricity or water account not older than 3 months, proof of Residential lease or rental or sworn affidavit accompanied by proof of residents if the business operates at a place of residence • Completed and signed Municipal Bidding Document attached in the tender document • Registered with Central Supplier Database (CSD). Evaluation will be done on the following two stages process in terms of National Treasury No: 53. Stage 1: Assessment of functionality. Only service providers who will achieve a minimum of 60% of the total available points will qualify for stage two of the evaluations. Stage 2: The 80/20 Preferential Point System will be applied, where 80 points will be allocated for price and 20 points for B-BBEE Status. Bidders are encouraged to submit an original or certified copy of B-BBEE certificate issued by SANAS Accredited Verification Agency. In case of EME’s bidder may submit an original SWORN Affidavit signed by a commissioner of oaths to claim Preference Points. All Technical enquiries relating to this tender must be directed to: Mr T. Mjadu, on tel. 032 481 4500 or e-mailed: thabani.mjadu@maphumulo.gov.za and SCM related enquiries must be directed to: Mr Velani Dube, on tel. 032 481 4500 during office hours (07:30 – 16:00) weekdays.